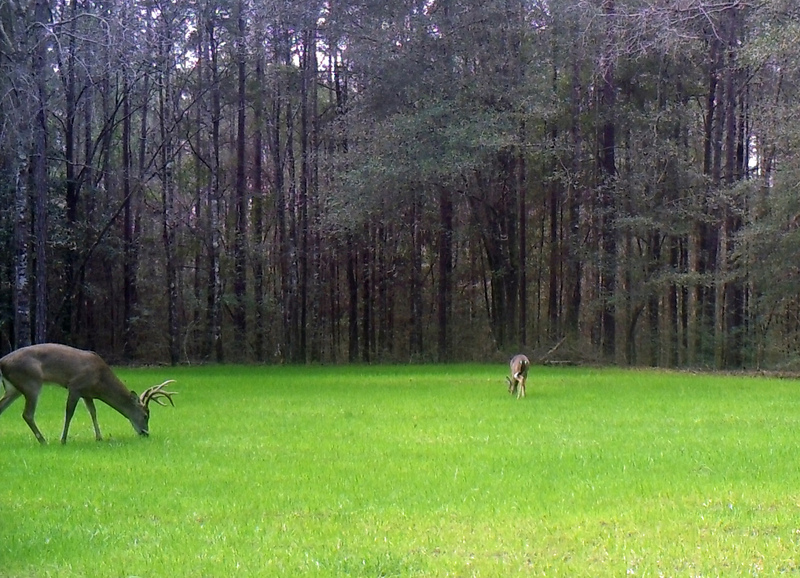 The choice between liquid and granular fertilizer can affect your hunting season. Most wildlife managers understand all plants require three major nutrients: nitrogen, phosphorous, and potassium. Without these nutrients, plants cannot grow effectively. This can affect not only your land’s greenery but the quality and quantity of wildlife available on your land. Through liquid fertilizer or granular fertilizer, these basic nutrients are made readily available. Overall plant health translates to providing quality and nutritious forage for all types of wildlife. In response to this necessity in wildlife management, the we contacted Chris Grantham of Alabama Liquid Fertilizer to explain the pros and cons of using liquid vs. granular fertilizers. 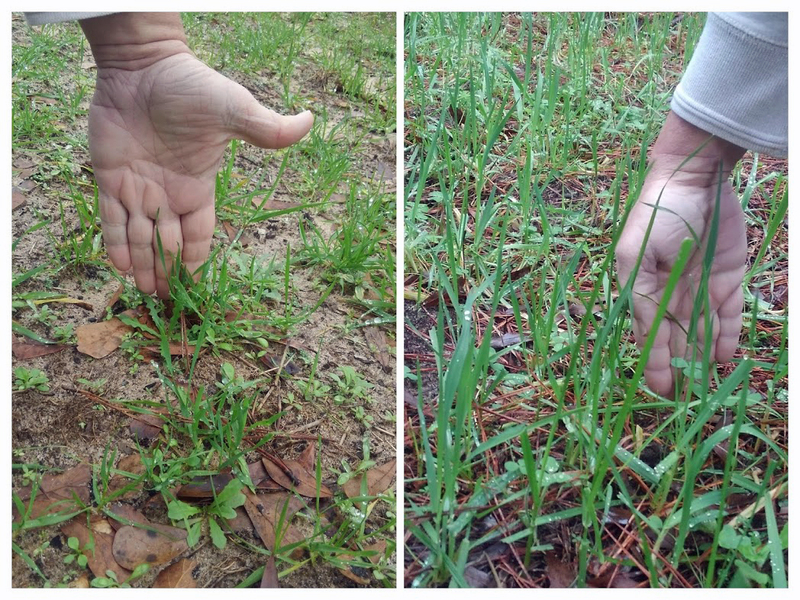 Liquid fertilizer can be used on all types of plants in food plots. Photo by Charles Johnson. The two key considerations in using liquid fertilizer versus the granular form are easy application and a high and quick absorption rate. Grantham pointed out that when utilizing liquid fertilizer, it must be diluted with water and users need to consider the amount of liquid their sprayer is emitting before determining the amount of water needed. Grantham said that liquid fertilizer can be applied when the plants are between three to six inches high and an average application of liquid fertilizers will last between two to three months. Also, depending on the plant species, liquid fertilizer can be used year-round. According to Grantham, there are two major benefits for wildlife when using liquid fertilizer for food plots. First off, liquid fertilizer makes the plants more palatable to wildlife. In essence, they just taste better. The second reason is liquid fertilizer acts as a mineral lick attracting wildlife. In addition, unlike the granular form, liquid fertilizer ensures consistency of equal nutrients in every drop. This consistency allows plants to more quickly and efficiently absorb the nutrients through leaves, stems, blooms, and fruit. Liquid fertilizer is applied as a foliar for land management. Since the fertilizer is liquid, once it is applied directly to the foliage of the plant, it instantly begins absorbing and using the nutrient. As a result, deer munching on food plots fertilized with liquid fertilizer immediately begin benefitting from the enriched plants. Phosphorus, along with calcium, is essential for rack growth in bucks. Grantham explains that products like Clark’s Plots Nutrients contain calcium which is beneficial to deer, turkey, and other wildlife. Calcium is an essential mineral to help bucks develop strength and antler growth and contributes to the healthy development of fawns resulting in higher fawn survival rates. For turkeys and quail, the calcium helps them produce tougher eggshells contributing to a healthier population. Even though wildlife doesn’t have a clue how calcium in beneficial they are still attracted back to fertilized plants and plots. Then there is the question of cost. According to Grantham liquid fertilizers are less expensive than their granular counterparts. Grantham points out that the amount of liquid fertilizer required to cover an acre of land is approximately two to two and one-half gallons. 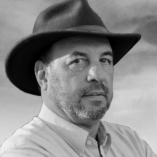 If using Grantham’s product at around $20 per gallon, it would cost around $40 per acre. Saving money is always a good thing. Granular fertilizer is quite different compared to liquid fertilizer. Although they both maintain the same type of nutrients, it’s the delivery process and consistency in nutrients making the difference and influences effectiveness. In the delivery process of granular fertilizers, the applications of the nutrients have to “melt” into the soil before the plant can utilize the fertilizer. The type of soil determines the speed of retrieval of the nutrients. For example, in sandy soil, nitrogen can move six to nine inches all ways after a rain, whereas in more stable soil, the nutrient migration may be less. No matter the type of soil used, there will always be a lag time for the granular nutrients to melt into the soil before the plant roots can begin receiving them. During this lag time, wildlife such as deer, turkey, quail, and others are consuming a less than nutritious plant. Granular fertilizers are soil and pH-dependent. For the plant roots to utilize the nutrients, they need to be balanced. Granular fertilizers are not consistent or balanced in terms of the number of nutrients in each granule. Due to this problem, plant roots can “selectively” steer away from granular fertilizers if they are too high in nitrogen and phosphorous. The result is with a low soil pH level, the plant will not get all the benefits of the granular fertilizer. Circling back around to economics, with granular fertilizers, most agronomists recommend a minimum of 300 pounds of fertilizer per acre. That means granular fertilizers can cost over $70 per acre for the recommended quantities. Both plots planted at the same time. Left with regular fertilizer on the right after application of Clark’s Plot Nutrients liquid fertilizer. Photo by Charles Johnson. What Should I Use and Why? Whether you choose liquid fertilizer or granular fertilizer, fertilizer itself is a necessity in wildlife management. If plants lack the three main nutrients, wildlife will stray and find a more nutrient-rich land, which defeats the whole concept of food plots. When looking over the different process and benefits of the two fertilizers, liquid fertilizer offers many benefits. You can’t beat the quickness of reception or the quality of nutrients a plant will receive. Saving money allows you to improve your habitat in other ways for the same amount as before. There is also the added benefit of no longer having to lug around 50-pound bags of granular fertilizer. With liquid fertilizer, wildlife managers can save money and have more nutritious food plots that are more palatable to wildlife. Sounds like winning all around. For more information contact Alabama Liquid Fertilizer and Supply Inc at ALFandSupply@gmail.com.